Owen Lovejoy, the son of a Congregational minister, was born, in Albion, Maine, on 6th January, 1811. He graduated from Bowdain College, Brunswick, in 1832 and studied law but never practiced. In 1836 Lovejoy was ordained as the pastor of the Congregational Church in Princeton, Illinois. Lovejoy was a strong opponent of slavery. So also was his brother, Elijah Parish Lovejoy, the editor of the Alton Observer. A member of the Ohio Anti-Slavery Society, his brother was murdered by a white pro-slavery mob on 7th November, 1837. At his funeral he vowed that he would never "forsake the cause sprinkled with his brother's blood". 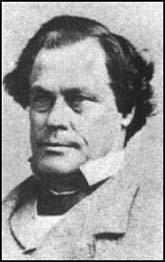 Lovejoy was a member of the Liberty Party and in was active in the campaign against the Kansas-Nebraska Act. In 1854 Lovejoy was elected to the Illinois House of Representatives. During this period he became friendly with Abraham Lincoln. However, Lincoln disapproved of Lovejoy's abolitionists views and refused to join him in forming a new radical political party. After joining the Republican Party, Lovejoy was elected to the 35th Congress and took his seat in March, 1857. He soon gained the reputation as being the most aggressive of the anti-slavery orators and associated with the Radical Republican group in Congress. However, he gradually moderated his views and assured the voters that he was content "to fight slavery in modes pointed out in the Constitution, and in those modes only." In the 1860 presidential election Lovejoy campaigned vigorously for Abraham Lincoln. 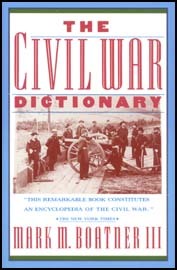 During the American Civil War Lovejoy argued that the president should free the slaves. When critics in the Republican Party expressed fears that the former slaves would want to live in the North, Lovejoy replied: "let them stay where they are and work under the stimulus of cash instead of the lash." Lovejoy also argued for the recruitment of black regiments. Unlike some Radical Republican, Lovejoy took care not to be too critical of Abraham Lincoln. At one speech on 12th June, 1862, he said of the president: "If he does not drive as fast as I would, he is on the right road, and it is only a question of time." Owen Lovejoy died in Brooklyn, New York City, on 25th March, 1864.